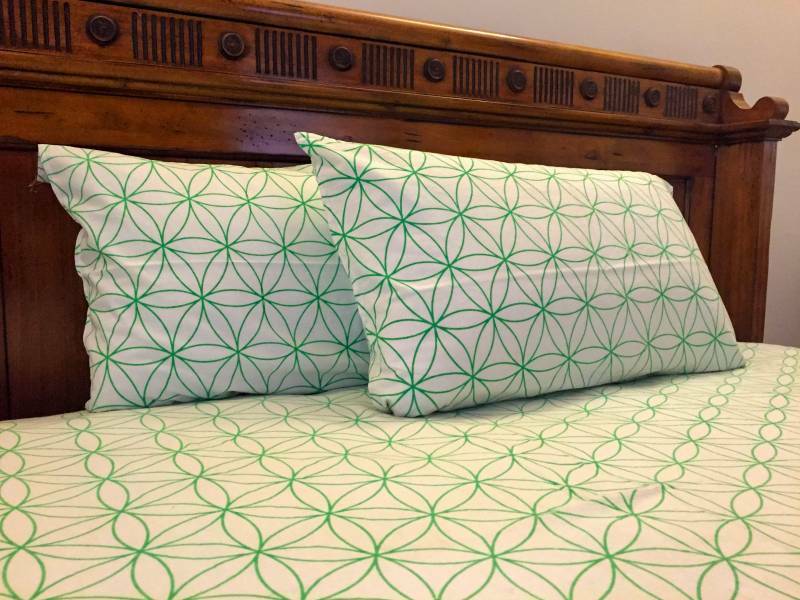 A king size white bed sheet, printed (green or blue) end to end with the flower of life (read about it below) pattern. 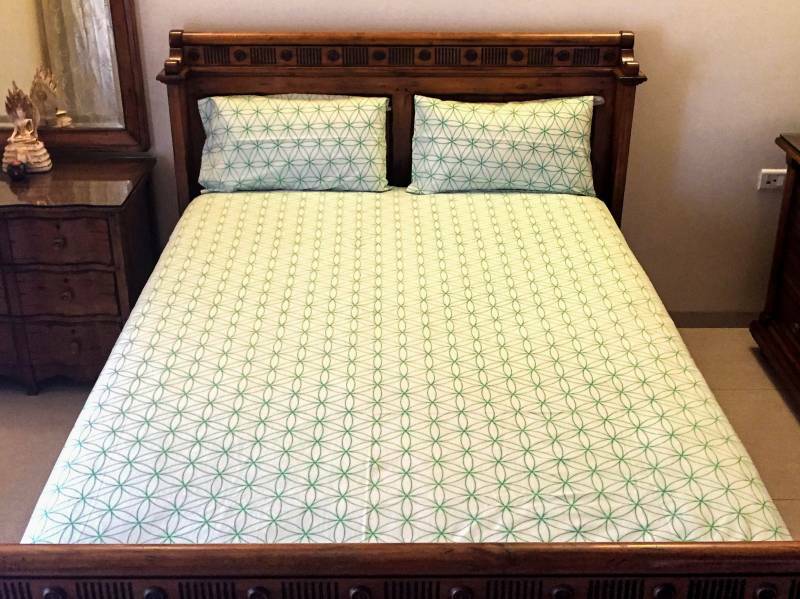 The sheet is made out of 300 GSM, 200 thread count cotton fabric, is 90″ x 108″ (7.5 ft x 9 ft) in size with two, 19″ x 29″ pillow covers. An increased sense of energy flow as they slept. Dreams intensified and got more vivid. Emotional releases in the first 2 or 3 days where something that was not fully processed or integrated was reawakened for resolution. More energy and inspiration in the morning. Intuition increased and synchronicities seemed to be drawn into experience. The Flower of Life is a sacred power symbol which activates energy coding in the mind, also helping one to access the light body. It is considered to be a wholly integrated expression of God, or All-That-Is. Because it is a primary energy and language pattern that has a resonance with all things within us and around us, the interlocking circle Flower of Life design has the ability to unlock memories that are buried deep within our being. 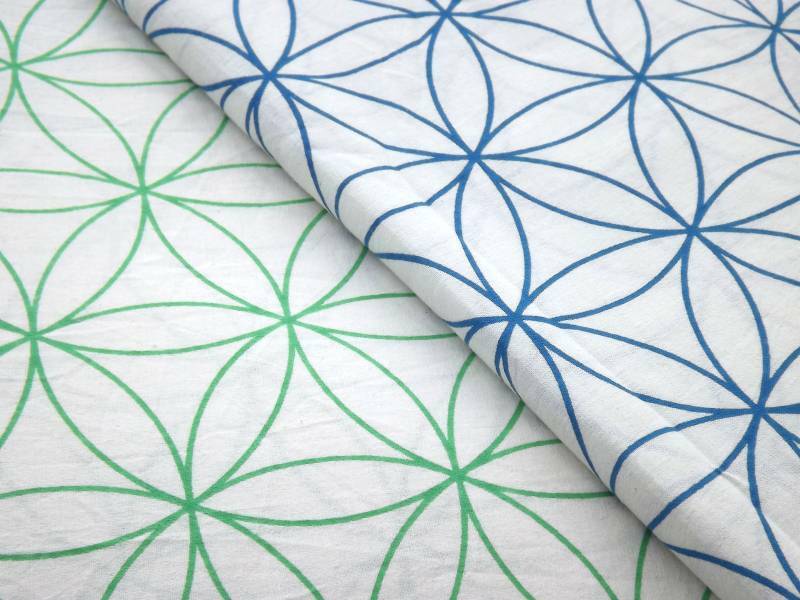 As a symbol the Flower of Life is considered to demonstrate the whole of the universe as well as its diverse components working together in harmony. The Flower of Life is revered for its ability to allow you to connect to your higher spiritual self as well as promote healing.